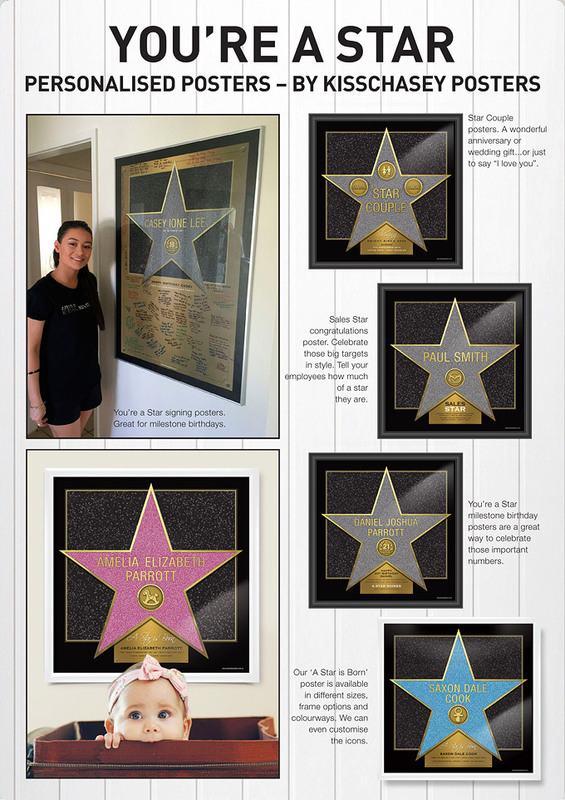 We can customise the 'You're a Star' poster in any colour and even add any icon to further personalise your order. If you don't see the star poster that you'd love, we can make a special one just for you. The perfect gift with star quality.